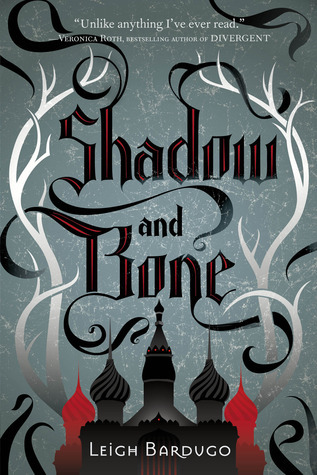 Shadow and Bone follows Alina Starkov, a seemingly normal girl, a mapmaker in the First Army. When she and her best friend are under attack by the monsters of the dark Shadow Fold, she discovers an ability she never realized. Swept away by The Darkling, the leader of the Second Army, she trains with the rest of the Grisha, those who have mastered a magical ability known as the Small Science. With her country depending on her, Alina must decide who to trust, and who is the enemy in a world of politics, lies, and manipulation. Leigh Bardugo is and always will be the queen of fantasy. While this book isn’t as beautifully written as her later books, it still has her unique mix of elegance, wit, and atmosphere. There are so many quotable lines and memorable moments between characters. Meanwhile, the world she created in this series is fascinating. You can clearly see which country is influenced by which real-world country, yet they manage to remain distinct and original. Her magic system is well developed, with clear, defined lines yet allowing for some surprises to be thrown in that still make sense. This book is fun. There are definitely a lot of tropes at play, which can occasionally take away from the political maneuvering and epic action scenes, but if you can look past the few cliche moments, you will just have a fun time. The first half of this book starts fast but then has a couple of slow moments, but the tension picks up in the second halfwhen you see the characters for who they truly are and uncover their motivations. This is probably the one series where I’m not a diehard fan of the love interest. Okay, so there are actually 3 potential love interests(but one isn’t introduced until book two) in this series (sorry for everyone who hates love triangles)(or squares)(or whatever shape this is), and I found everyone, except the main one, compelling. And this is definitely a series where you know who is going to be the endgame love interest by the first page. But enough about the relationship drama. I want to talk about Alina. This book is probably the worst book in the series for her character. She’s definitely not very easy to like. That said, I don’t hate her. In fact, I think she’s a great protagonist, but she definitely isn’t a character you will love all the time. But, for me, that just makes her seem more realistic and interesting. Speaking of flawed characters, Mal. Oh, Mal. I hated him when I first read this series. He’s a cliche flirt, is immature at times, and just frustrated me a lot. However, now that I’ve reread it, I’ve learned to appreciate his flaws, because it allowed for great growth in the series. I think I hated him because I was expecting a typical YA love interest who is perfect in every way and even his flaws just make him more appealing. Mal isn’t like that, and it’s really refreshing. While I still prefer a lot of other characters to him, I appreciate his role in this series and I think he deserves better than how most fans treat him. And now for the character I love talking about way too much, The Darkling. Listen, I love this disaster. He’s extremely well developed, with a compelling backstory, interesting motivations, and is just really well written. I won’t go into spoilers here, but man this character is absolutely fascinating, and definitely one of the more unique YA characters I’ve read. Shadow and Bone is a YA fantasy staple. If you haven’t read this book, you need to pick it up and experience this gripping series. I keep meaning to read this and keep forgetting about this. I’ll try to prioritize this for 2019. It’s such a good read!